As one of the most startling admissions of a decades-long program of officially-sanctioned false flag terror, Operation Gladio remains a woefully under-reported piece of the War on Terror puzzle. Today we go behind the trite summarizations of this program to look in-depth at the program, its roots, and how it is continuing to operate right through to the present day. In the waning days of WWII, as the cold war began to freeze Europe, as the Iron Curtain was erected, intelligence agencies began a mad scramble to recruit the best and brightest minds from Nazi Germany. 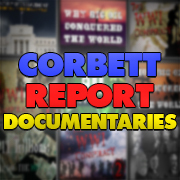 Learn more about how Nazi war criminals were brought over to found NASA, work in military weapons labs and start stay-behind networks in Western Europe to carry out terror attacks in the strategy of tension. 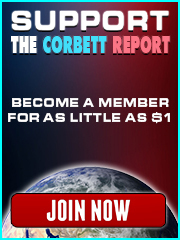 http://www.corbettreport.com/mp3/2017-10-01%20The%20Dignitary.mp3 James Corbett joins Jacob Isbell of The Dignitary podcast for a wide-ranging introduction to The Corbett Report and the Corbett world-view.